With all that goes into owning a salon, it’s easy to get stuck in the daily responsibilities and ignore the future, but sooner or later, even the most successful salon owner needs an exit strategy. Retiring from a business you own is very different than leaving a job at a major corporation. People depend on you for their livelihood, so walking away simply isn’t an option. Selling the business can also be a tricky endeavor that can end badly if sold to the wrong person. For many small salon owners, family is the answer. The reigns of the salon are often smoothly handed off to the next generation. But what happens when you own multiple locations? Or you don’t have any family members interested in taking over the business? 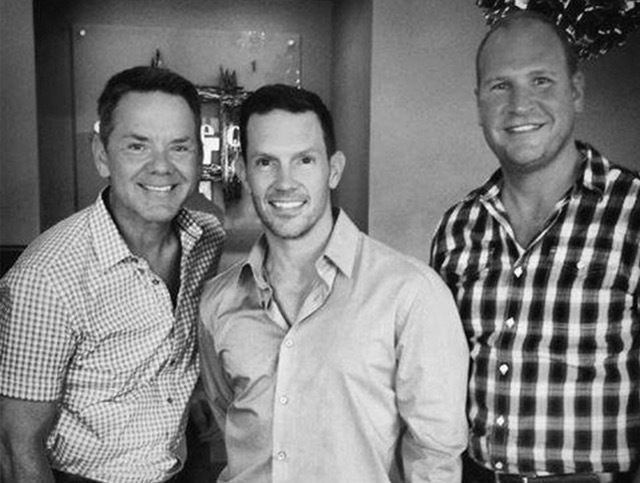 Brent Johnson, Doug Henderson and Josh Stucky, owners of four Square One salons in Dayton and Columbus, Ohio, recently addressed these questions and came up with a unique solution for a successful salon succession plan. Below are their tips that salon owners can use to plan a smooth transition. When Johnson, Henderson and Stucky opened their original salon in 1999, they had seven employees. Now they have a staff of 180 people, and just recently opened two new locations, bringing them to a total of six salons. Johnson says they knew they wanted to make their long-term employees part of the strategy, but quickly realized they would have to create the right opportunity. To get in the right mindset, they asked their employees what was important to them. Their employees said their priorities were being an owner, maintaining financial stability and having creative control. Another reason bringing them into the existing business didn’t make sense was financial: The four original salons do about 130,000 transactions in a year. Nothing felt right to the owners, until they tapped into an idea they had been mulling over for a while: opening a fifth location. “We talked to our attorneys and thought maybe we could just create a whole new business with a separate tax ID for these employees to run,” he says. The owners ended up opening two new locations with five employees becoming owners in the new salons. “Each of the new locations has it’s own tax ID, and with our employees’ buy-in, we financed the renovation and build out,” Johnson says. Once the owners knew they were going to open two more locations, it was time to choose the employees who would be offered shares in the new salons. Seven people qualified and were offered shares based on the amount of time they had been at the salon. For voting reasons, the three original owners kept 51 percent of the business and signed a separate contract, stating they would always vote as a unit. Five of the employees accepted the offer: Canaan Good, Angie Mehaffie, Misty Wells, Alan Leonard and Lori Davis. The two who chose not to buy in were appreciative, and asked to be considered again in the future. For the five stylists who bought shares in the new locations, Johnson and his original co-owners wanted to create what they requested: ownership, creative control and financial stability. After almost three years of research, vetting, and working with attorneys to figure it all out, the Square One owners’ plan is now a reality. Each of the new owners is assigned a day at one of the new salons where they are in charge. Anything that happens that day, they are responsible for: a burst pipe, a stylist who doesn’t show up for a shift, an alarm going off—anything. Little tasks that pop up like going over orders can take anywhere from a couple hours to a few days. In addition to their weekly “owner day,” the five new owners have also been assigned one major role to learn. “One of them is in charge of the checking account, one’s in charge of inventory, one’s in charge of hiring and training, etc.,” Johnson says. Annually, the five new owners will trade off these major responsibilities so everyone has the opportunity to really learn every aspect of the business. It hasn’t been quite a year yet since the new salons and owners started, but the impact is already huge. Good says, “It has kept me really busy because I still work behind the chair full time in order to keep my salary. Johnson says they had three outside people helping them execute their plan to bring in new owners: the financial planner who handles the salon’s 401k plan, their accountant and their attorney. Johnson says the contracts and documents created were important because the owners wanted to feel good about what they were doing, but not give away the farm. For the new owners, coming up with the money to buy shares was the main challenge. “I would’ve been a fool not to jump on this opportunity,” Good says. “What the owners have done with Square One has been so successful and the brand is recognized as standing for something great. The other new owners also managed to find ways to finance buying their shares whether it was through family, savings or a bank. Johnson says they aren’t finished opening new locations. “We tell our employees we will find opportunity for everyone when the time is right,” he says. If a stylist dreams to own their own business someday, Johnson would much rather they achieve that dream through Square One than go be an independent contractor. Johnson says the concern of successful stylists renting space in a larger facility and transferring clients over is not the concern it was two or three years ago. None of the three original owners work behind the chair, and while they work every day, they don’t need to be in the business for it to operate on a daily basis. Good aspires to do the same some day. “Getting out from behind the chair has always been in the back of my mind,” she says. But for now, she’s enjoying working with the other four new owners, growing and learning together. Good says they want to make it the best it can be before they start dipping into the profits.